Allowing our website or app to access your camera and microphone is essential to using our service for Video Consultations. By default, you should be prompted with a pop up asking you to allow access to your camera and microphone on your selected device. 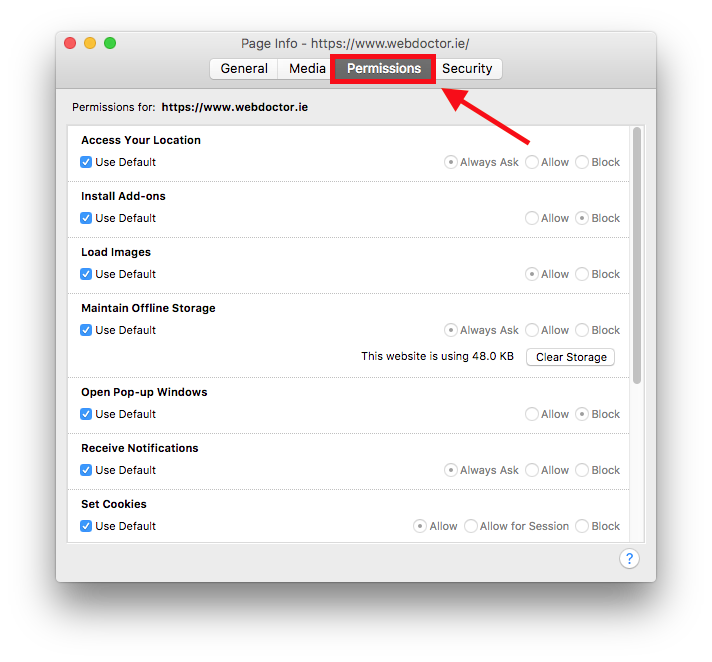 Here's how to enable access on supported devices. Go to the Settings App on your iPhone/iPad/iTouch. 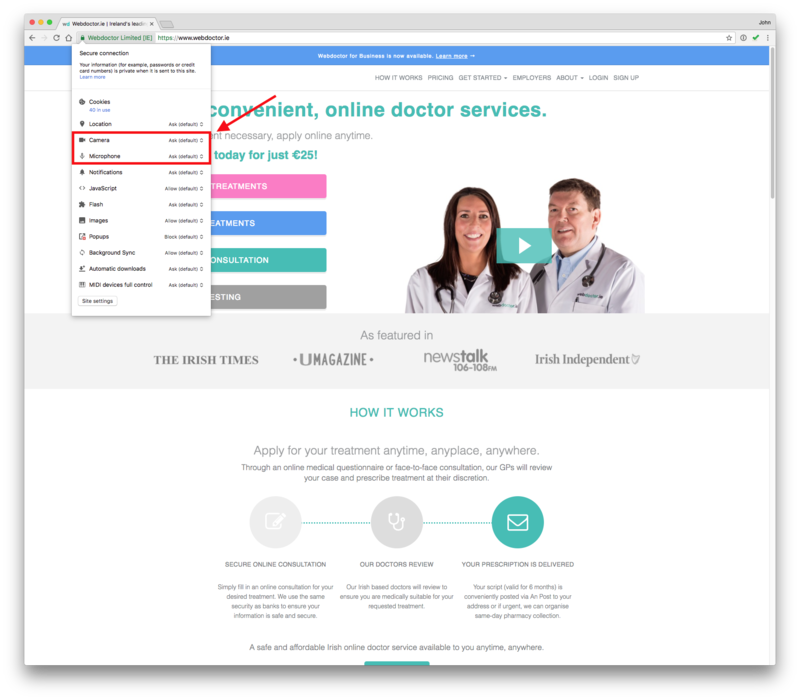 Scroll down and select the Webdoctor App. Allow Microphone and Camera access. 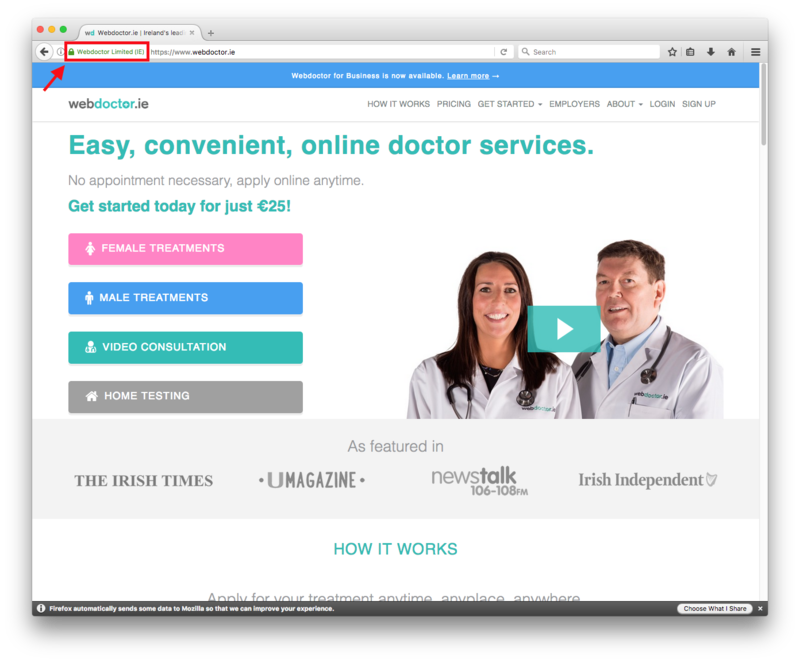 "Webdoctor.ie wants to use your camera and microphone?" 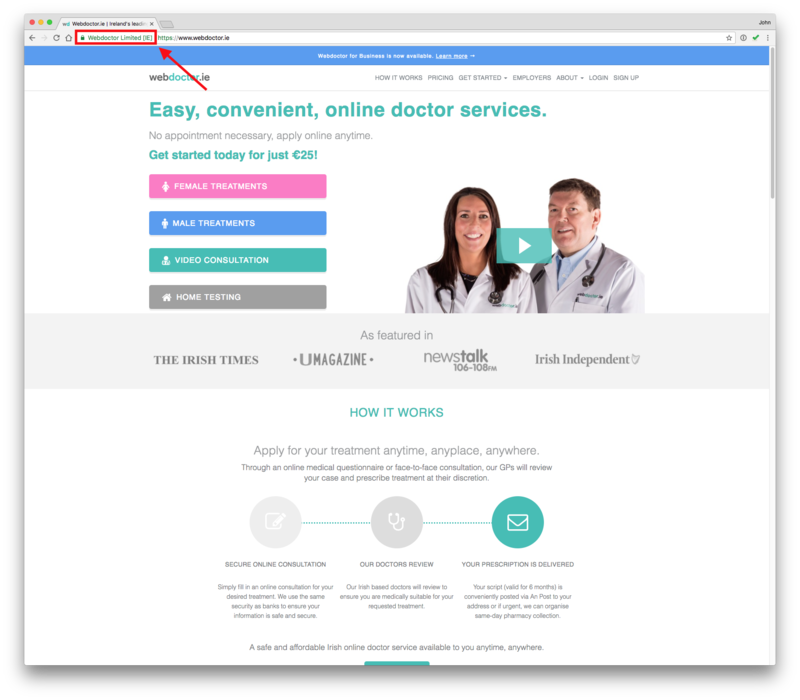 If you are still having issues, restarting your browser may help. On your android device, select the options button (to the left of the home button). Swipe the browser window to the right to close it. For best possible experience, we recommend closing all apps during a video consultation. Lets make sure your camera and microphone are enabled. 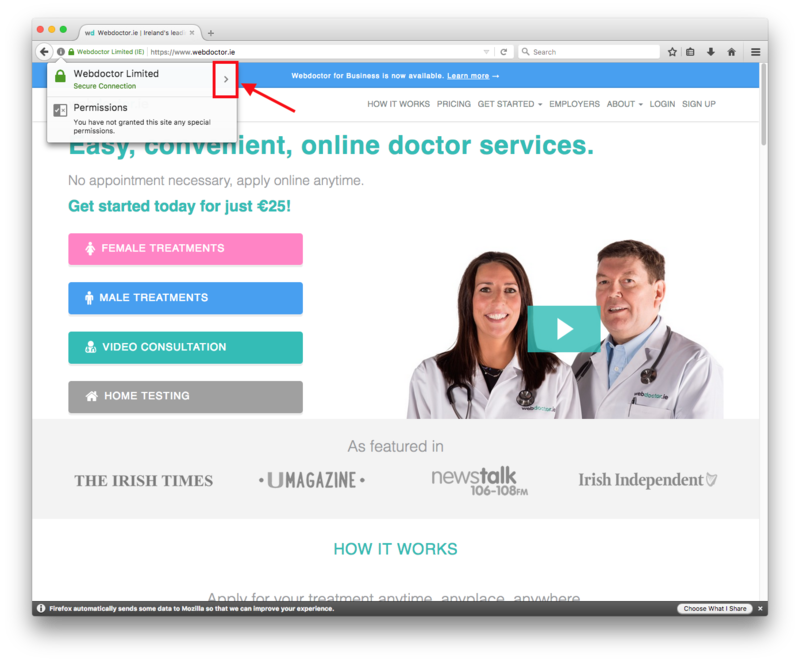 Click on the green padlock (to the left of the address bar, up top). A list of options will open. Find: "Microphone" and "Camera". 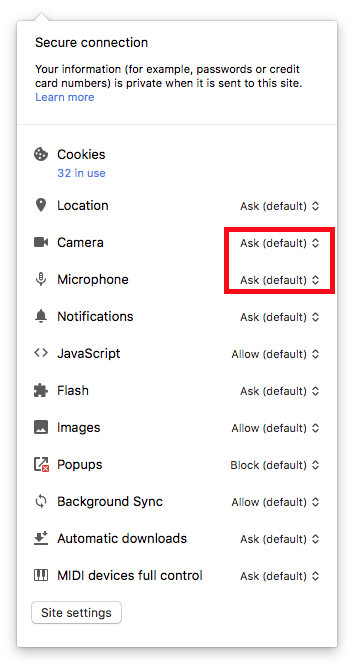 Click "Ask (default)" and select "Always allow on this site" for both Microphone and Camera. A list of options will open. Find: "Camera" and "Microphone". 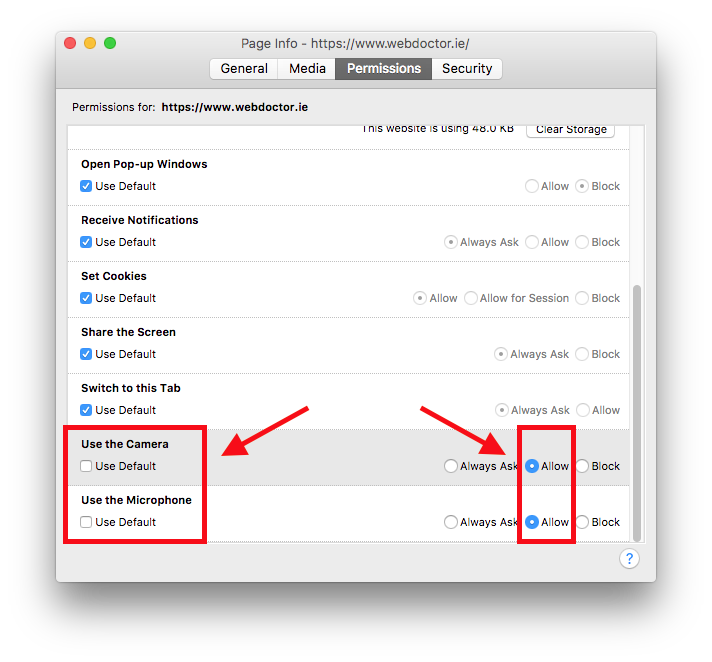 Click "Ask (default)" and select "Always allow on this site" for both Camera and Microphone. 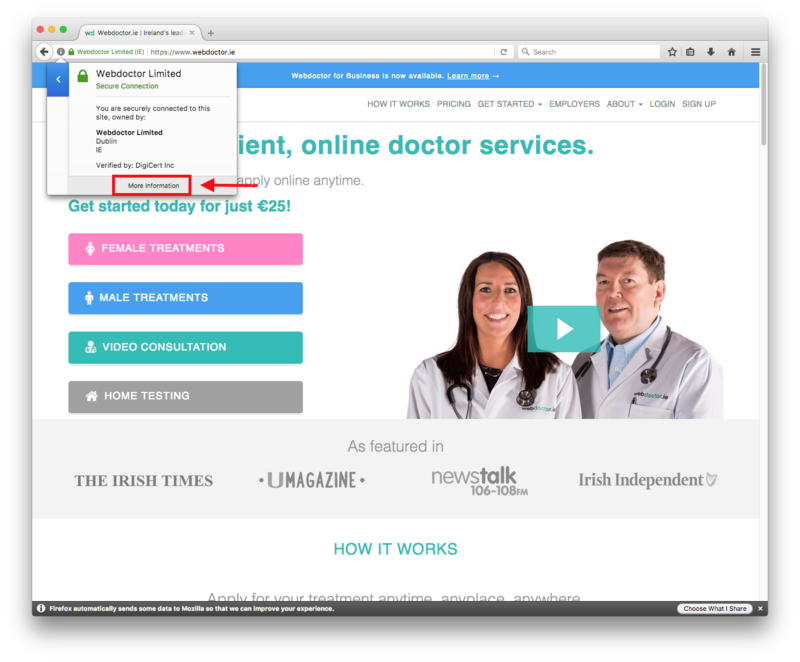 You have now granted Webdoctor access to your Camera and Microphone. Select the right facing arrow. In the new menu that pops up, select Permissions. Scroll down through permissions until you see "Use the Camera" and "Use the Microphone". Deselect the tick box for "Use Default" on the left hand side for both the camera and microphone and then select "Allow" for each. To the left of the address bar (left of the green padlock), you will see a camera icon. If this icon is grey, it means your camera and/or microphone has been blocked or disabled. Select the camera icon. A pop up menu will appear. Select "Clear this setting and reload"
Another popup menu will appear asking if you want to allow access. Select Allow.